Over 500 Congolese people have died of Ebola in DR Congo. The vaccination program has helped to prevent thousands from dying, according to Mr Kalenga, the minister of health. So far, 502 have died and 271 people got healed,’’health minister said on Friday during the interview on the outbreak in the Eastern part of DR Congo. 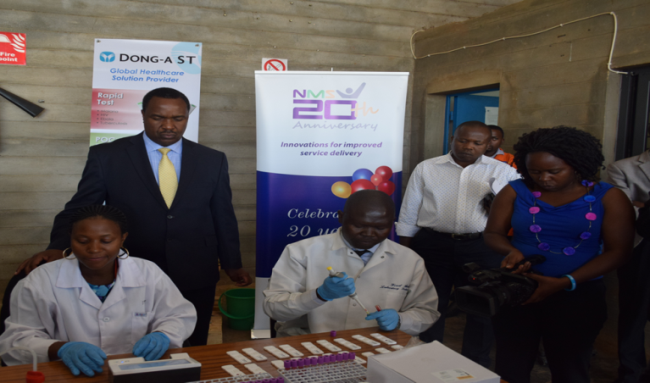 The Minister of Health, Mr Oly Kalenga Ilunga indicated that the vaccination program has so far protected over 76,000 people for the first time ever and also prevented thousands from death. The minister said the team has now done a great job by preventing the spread of the epidemic in major cities across the region and they have also managed to prevent it from being spread to neighbouring countries, ‘he said. The biggest challenge is the ability to move the population,’’he added. This latest Ebola outbreak started in August last year in the northern part of Kivu, which borders Rwanda and Uganda.